Mobile traffic is huge. So huge in fact that mobile searches have outstripped desktop searches back in 2015. As an SEO company, we pay close attention to Google’s algorithm changes. 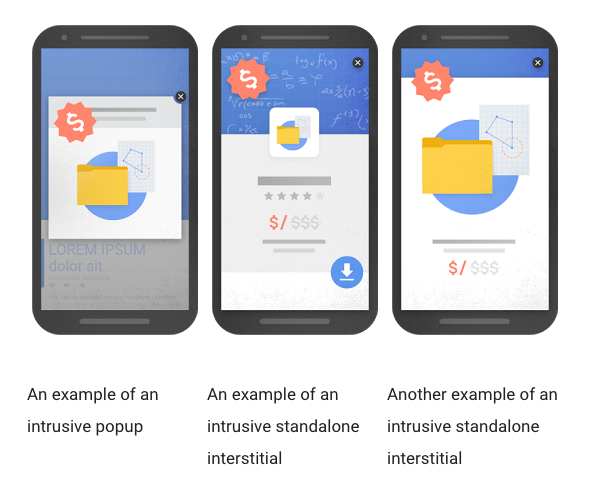 Most of them are geared towards improving the user experience so it is no surprise that the search giant has decided to penalise websites using intrusive mobile pop ups. These include interstitial ads (full screen ads that cover the interface) as well as pop ups. 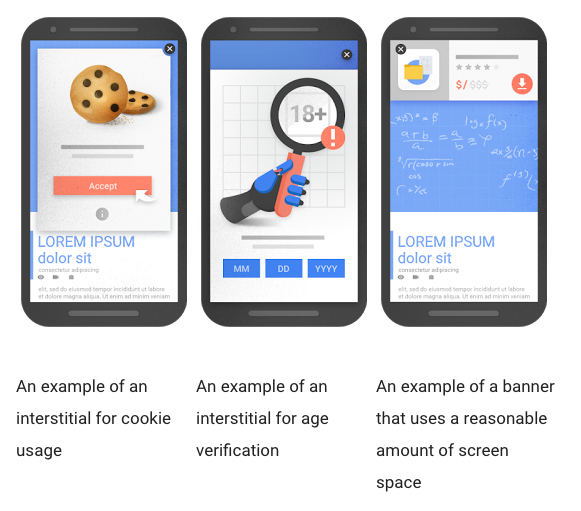 This has come on top of several of Google’s other initiatives to improve the mobile web experience, including releasing Accelerated Mobile Pages (AMP), providing the mobile-friendly label in the search results page (to be discontinued), making mobile-friendliness a ranking signal and allowing webmasters to test if their site is mobile-friendly via their Mobile Friendly test. If you’re using a pop up that covers the main content of the page. Even a delayed pop up (pop up that appears some time after the user visits your site) will be penalised. Displaying an interstitial ad that users have to dismiss before they can view the page content. If your website uses a layout where the above-the-fold portion looks similar to an interstitial ad, and the original content has been inlined underneath the fold. This has been called a Welcome Mat ad and it’s currently being used by a number of popular websites. Users scroll down to dismiss the ad rather than clicking on the close button. Interstitial ads that are needed to comply with a legal obligation. For example, liquor websites need to verify age and EU sites need to inform users if cookies are being used. Dialog boxes on websites where the content is not publicly indexable. If you’re using a paywall for your online course or have private content such as email, then you wouldn’t be penalised. Ad banners that take up a ‘reasonable’ amount of mobile screen space and be easily dismissed. The new announcement will have a big impact on online publishers who rely on interstitial ads for ad revenue. These ads are typically charged at a premium. However, if they persist with that ad unit on mobile, then they might find their rankings tanking. Traffic is of course a main factor in determining the prices they can charge and for most websites, organic search is one of the major drivers of traffic. 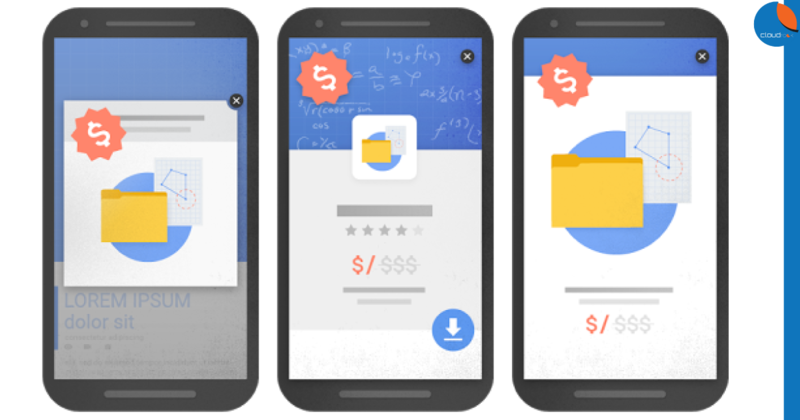 But we have to agree with Google here – those ads are usually quite annoying on mobile so as users we’re glad that Google is doing something about it. For online publishers, they should know that an ever-changing revenue model is a reality since you’ll be dealing with dealing with the whims of Google and Facebook regularly. They should and must be able to find alternative means of monetisation that does not diminish the user experience. The good news is that they have until January 2017 to figure out alternative means of monetisation. Ensuring your website is readable without having to pinch-zoom. Ensuring that the click elements are not too close together. Don’t use Flash to play movies to display content as they won’t be shown on mobile.